Summer Camp is for fun and skill building. Mt. Helix Academy operates safe, inviting, and exciting camps for children as young as four years and our summer program and camps accommodate children up through 8th grade. Check the column to the left for the option that is best for your youngster. Our camp programs include enrichment activities for children who are at or above grade level. For children who can use it, our camp programs include remedial activities that emphasize achieving fluency in the basics of reading, math, and writing. During each break in the traditional school year, Mt. Helix Academy has a camp that offers a combination of academic and recreational activities for students of the school as well as for children who do not attend the school. Camps are open from 8:00 a.m. to 3:00 p.m. and extended child care is also available from 7:00 a.m. to 6:00 p.m for summer camp. Please note that Mt. 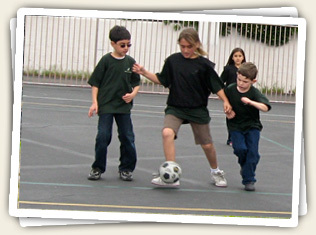 Helix Academy camps and summer programs are for well-behaved children.